Nico Schulz's gilt-edged Germany debut has enhanced his chances of being installed as Joachim Löw's new first-choice left full-back, but who else is contending the coveted No.3 shirt? Since Philipp Lahm was moved to the right of the defence several years ago, filling the void he left has been the subject of much debate. Erik Durm, Marcel Schmelzer and Jonas Hector have all been tried, with Marvin Plattenhardt and Marcel Halstenberg also earning some game time prior to Schulz's match-winning performance against Peru. 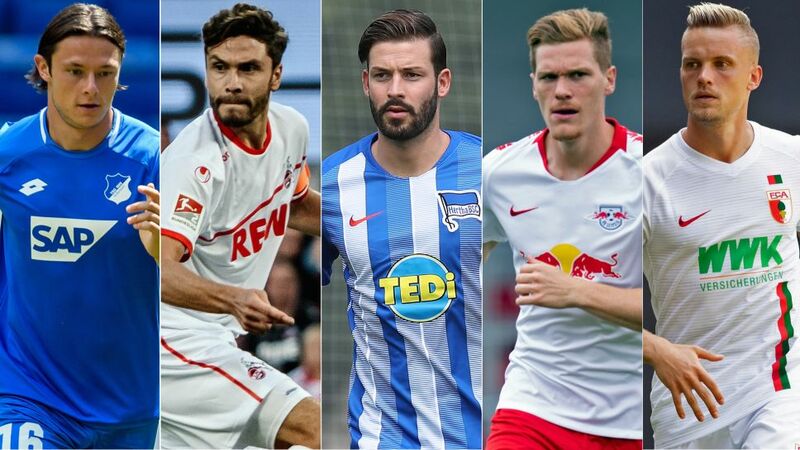 With Augsburg's prolific assister Philipp Max also pushing for consideration, bundesliga.com has taken a look at the main candidates for regular possession of a shirt previously worn with distinction by the likes of Paul Breitner, Andreas Brehme and Marco Bode. Schulz was clearly always on Germany’s radar as he made his way up through the youth ranks at his first club Hertha Berlin. He chalked up 51 caps for his country from schoolboy to U21 level before a cruciate ligament injury in October 2015 checked his progress - soon after he had moved to Borussia Mönchengladbach. Plattenhardt now has six international caps to his name and was part of the national team squad for the 2018 FIFA World Cup. He scored three free-kicks in 2016/17, improved his build-up play last season, chipping in with a team-high seven assists as Hertha finished in 10th, ten points clear of the relegation quagmire. Halstenberg made his Germany debut in the goalless draw with England in November 2017, and he pleased Löw with his performance. "He didn't show any nerves – which you might expect playing in front of 80,000 at Wembley Stadium - and played an intelligent game; he is certainly a player we could do with in this position," said the Germany coach of the Leipzig player, who is happy to be involved in a five-way fight for selection. "Football thrives on competition," he said. "All I have to do is focus on myself."